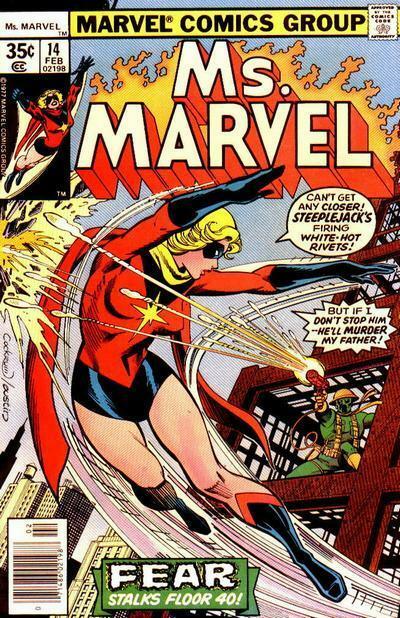 Major Carol Danvers first appeared as a member of the United States Air Force in the comic, Marvel Super-Heroes #13 (March 1968). 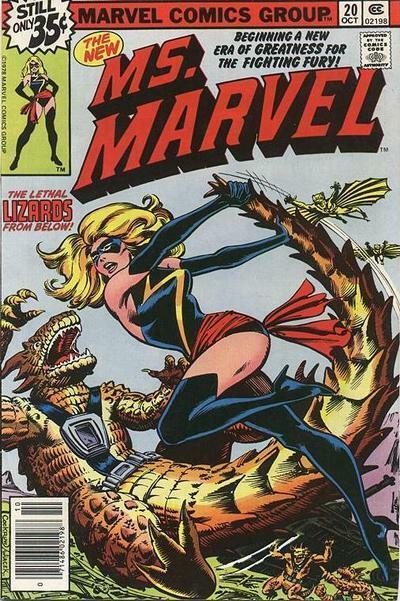 She debuted as the first incarnation of "Ms. Marvel" in Ms. Marvel #1 (January 1977) after a fusion of alien Kree and human genes gives her superhuman powers, which occurred in Captain Marvel #18 (November 1969). 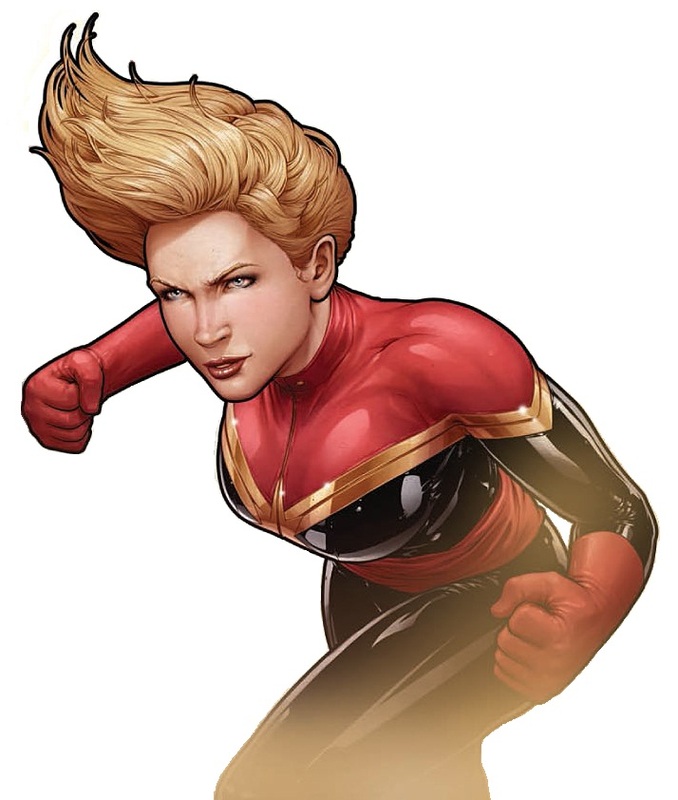 Carol Danvers grew up as the oldest child of three in a traditional Boston home, with a contractor father who believed in the merits of hard work. When he built their Cape Cod summer home, Carol insisted on working as hard as her two younger brothers, trying to make equal in her father's eyes. A voracious reader, she dreamed of becoming an astronaut and traveling to distant planets; as a teen she even hitchhiked to Cape Canaveral to view a launch there. 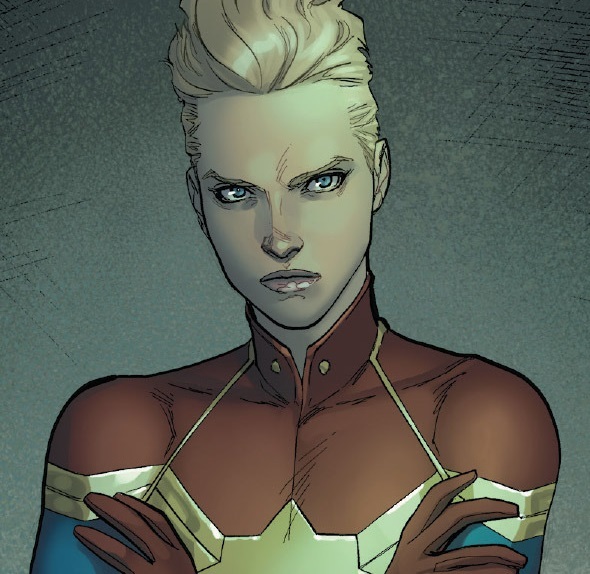 Her father however, could not accept women as men's equals, and when financial troubles meant he could only send one child to college, he chose middle child Steve despite Carol's superior grades. Carol graduated from high school first in her class and took a sales job. She turned 18 just a few months later, and the following day she turned her back on her father and joined the Air Force, intending to be a pilot and to get a college degree via the military. 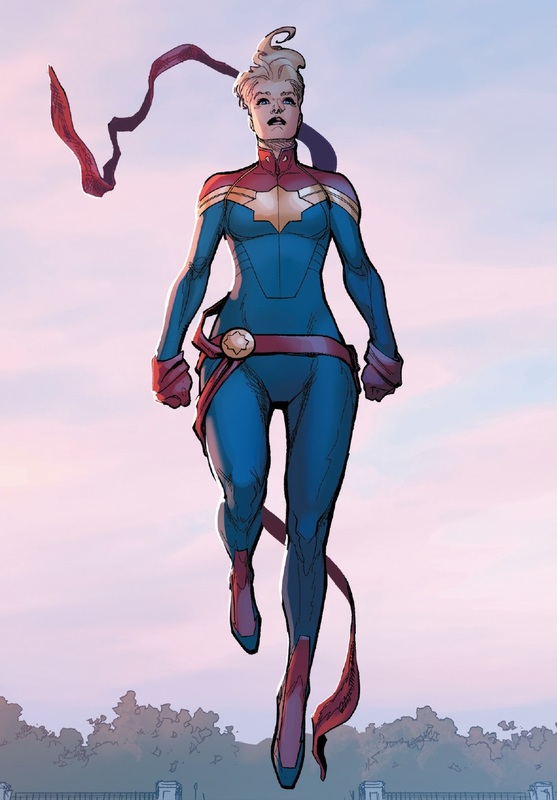 Her brother Steve's death in military action would eventually draw Carol back to her family, but she still never felt truly accepted by her father. 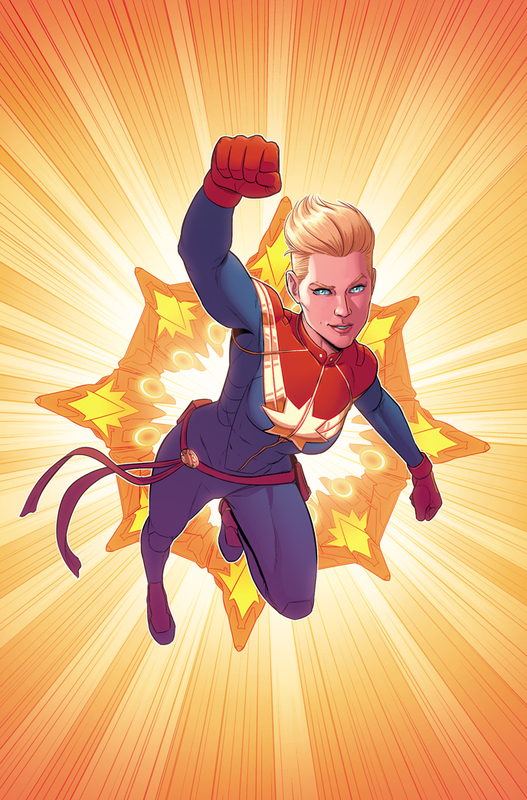 She quickly rose to the top of her Air Force class and was recruited into military intelligence (Special Operations) and trained as a spy. 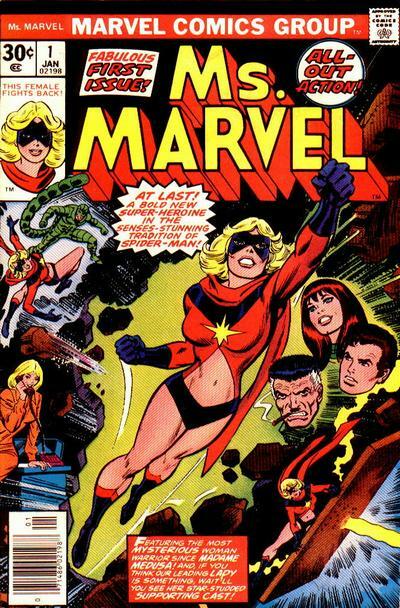 She accomplished many different missions and worked with other figures such as Logan (later Wolverine) and Benjamin Grimm (later the Thing), while opposing others such as Victor Creed (later Sabretooth), and Natalia Shostakova (later the Black Widow). NASA eventually requested her for an open position as head of security which she accepted, resigning from the Air Force bumping her to full Colonel at retirement. 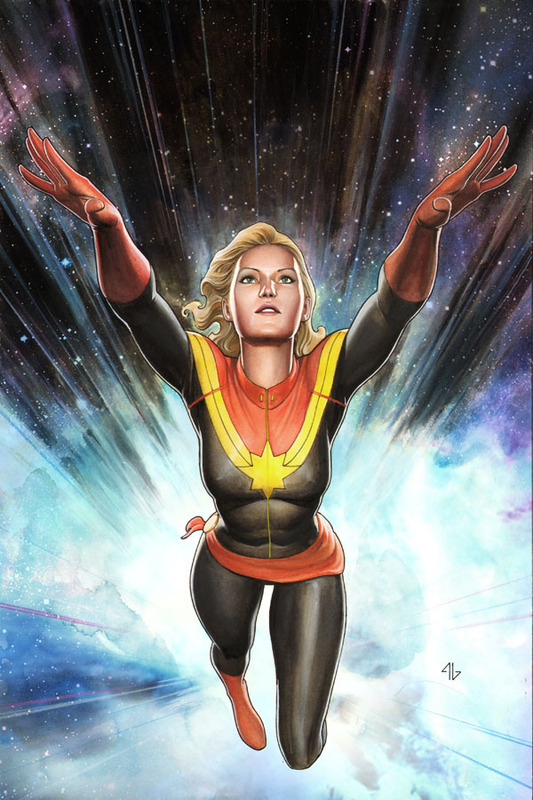 Becoming the youngest security captain in NASA's history, she became embroiled in the schemes of the interstellar alien Kree Empire. 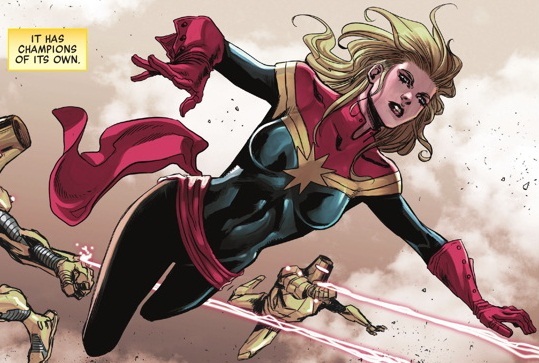 It was during this time that she met and eventually befriended the Kree soldier Mar-Vell whose enemies would soon be responsible for her future transformation. 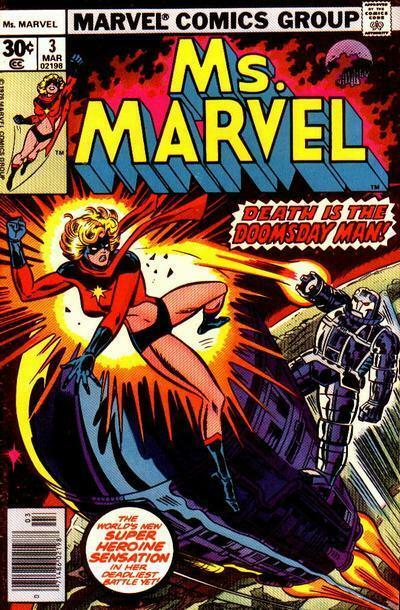 The next few months were disastrous as she was kidnapped by the alien robotic intelligence Cyberex and then hospitalized by a controlled Iron Man who attacked the Cape. 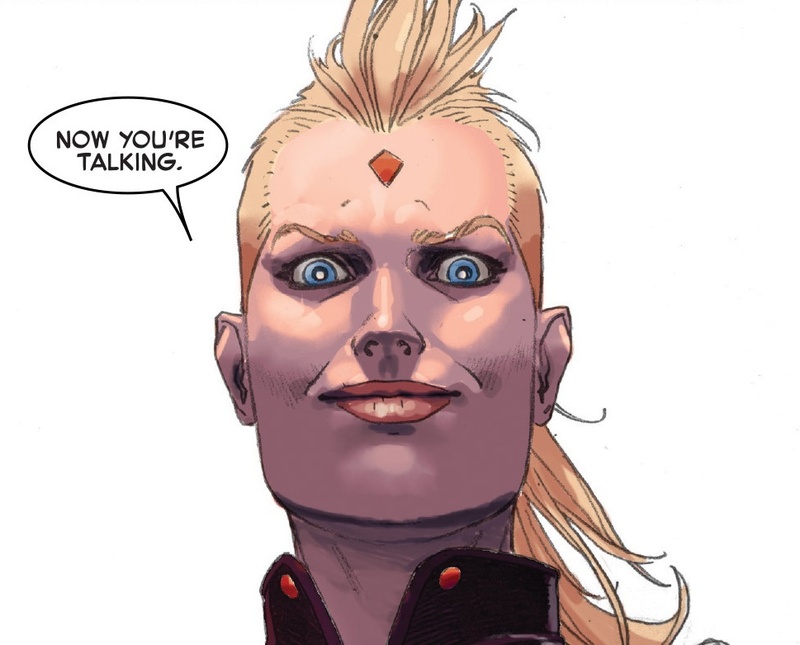 The alien Yon-Rogg then kidnapped her while she was still concussed and eventually battled Mar-Vell. 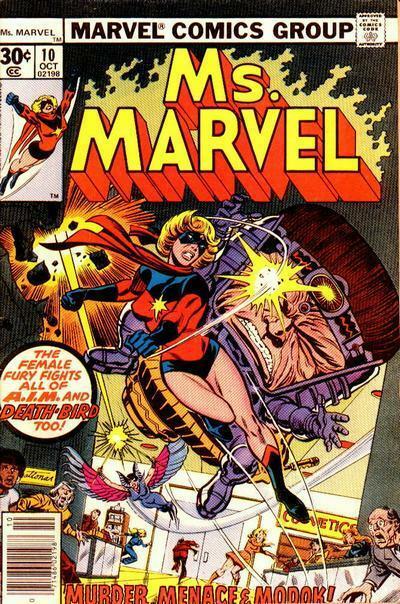 During this battle, Carol was knocked into a damaged Kree Psyche-Magnitron, a powerful device which could turn imagination into reality. 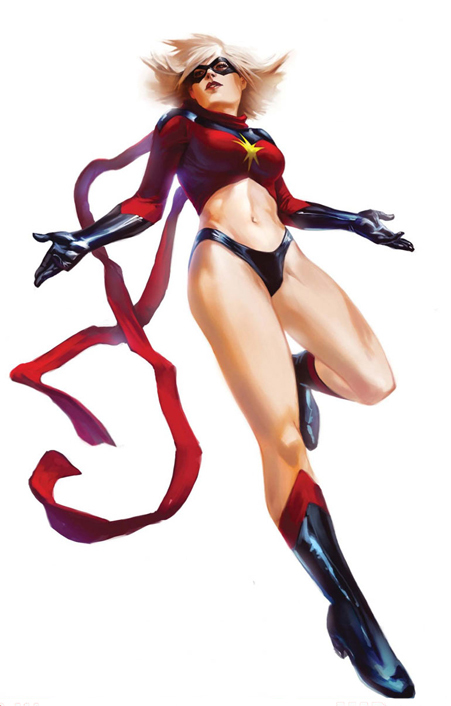 Carol's genetic structure was altered effectively making her a half-Kree superhuman. She was unaware of this change for months. Now living off an accumulated salary, Carol wrote an angry tell-all expose on NASA, burning many bridges. 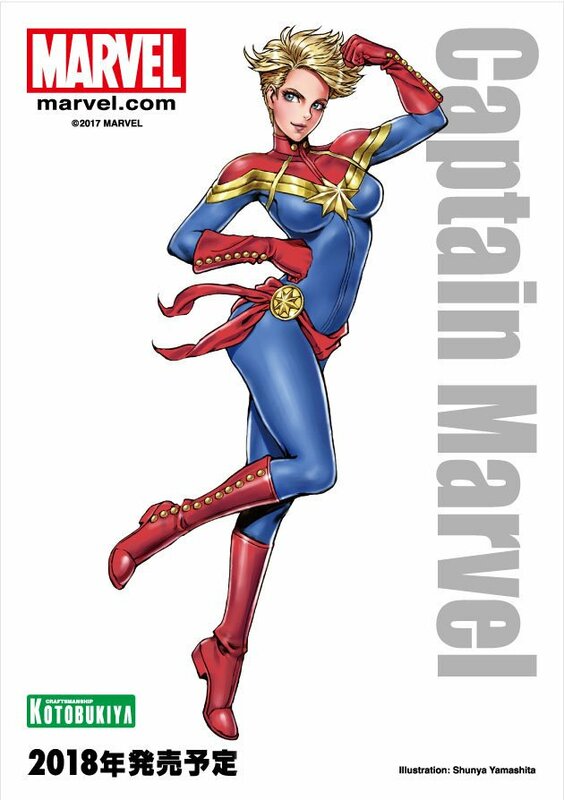 The best selling book briefly made Carol a celebrity and she began working as an editor for Woman Magazine, a publication owned by the Daily Bugle. 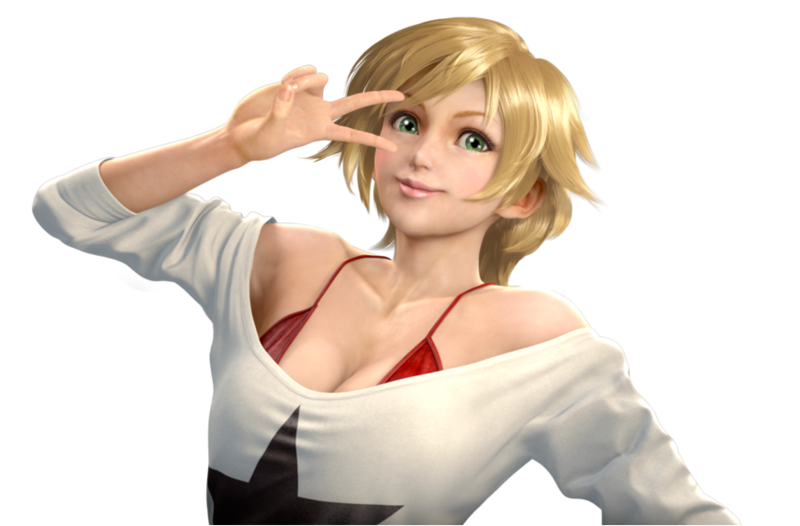 However, she developed a dual personality due to the Psyche-Magnitron's alterations. 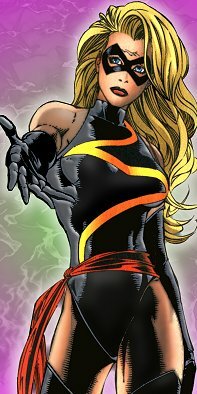 She would black out and become a Kree warrior, instantaneously donning a costume in which the Psyche-Magnitron had created for her to ease her body's changes. She continued to experience these blackouts, but they did not stop her from pursuing her career as a writer and editor. 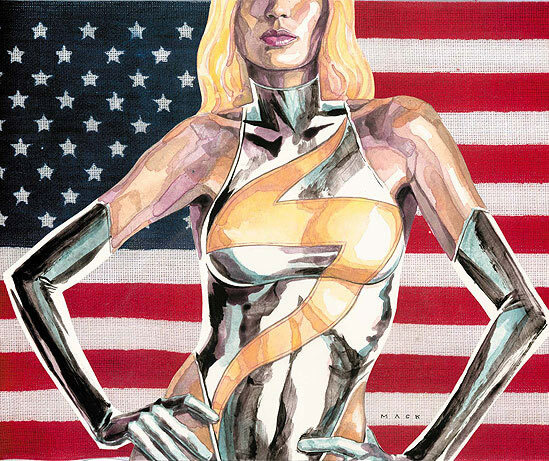 She took the name Ms. Marvel after Mar-Vell. 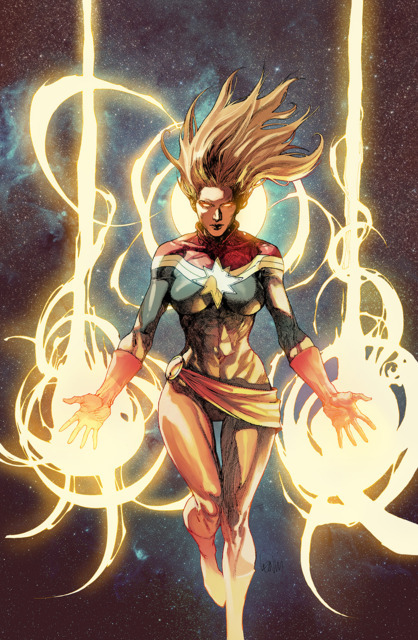 Her fragmented mind eventually recovered with the help and treatments of the extradimensional Hecate and the Kree Ronan the Accuser. 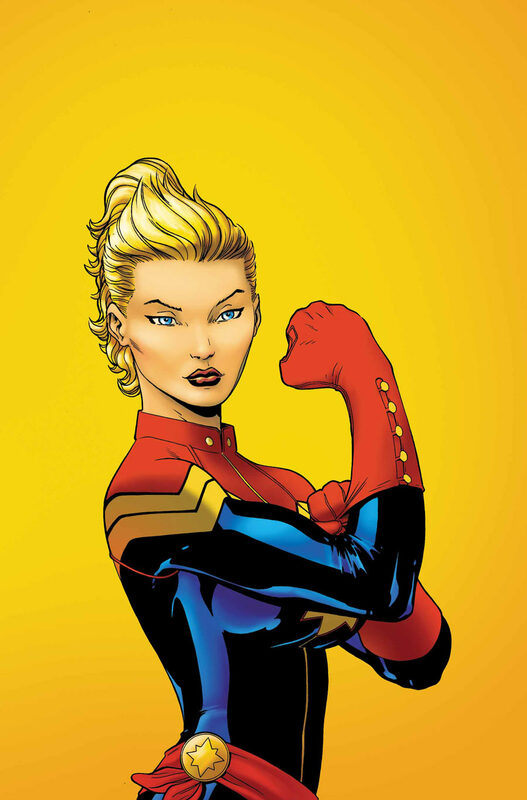 She established herself as one of New York's premiere superheroes working with Spider-Man, the Defenders, and the Avengers. 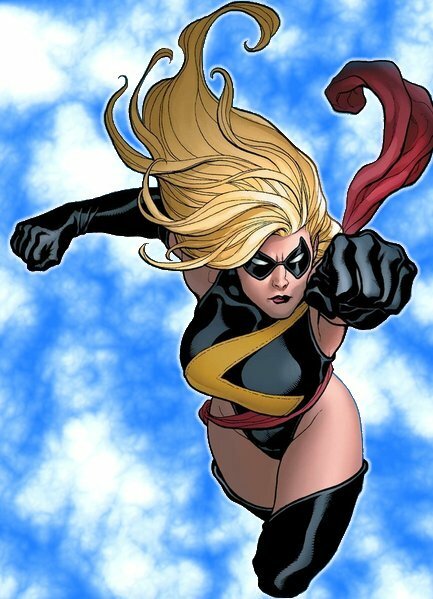 Ms. Marvel also plays an important role in Rogue's storyline. 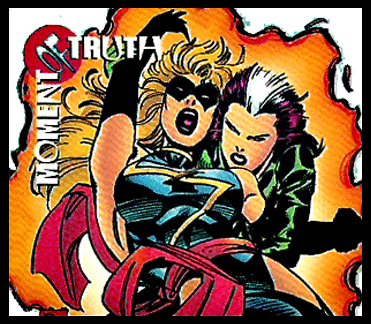 When Rogue was part of The Brotherhood of Evil Mutants, she encountered Ms. Marvel on her first mission. 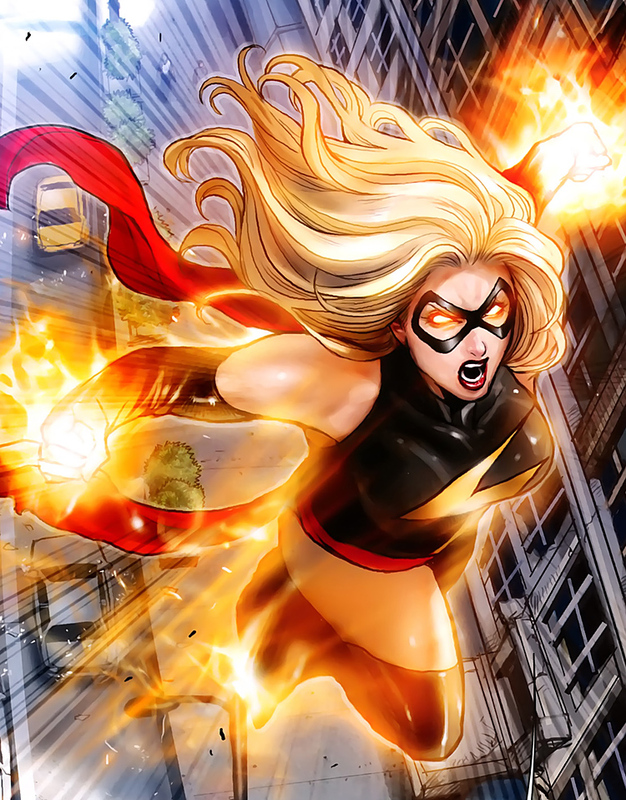 Inexperienced, Rogue clashed with Ms. Marvel and ended up permanently absorbing her powers. 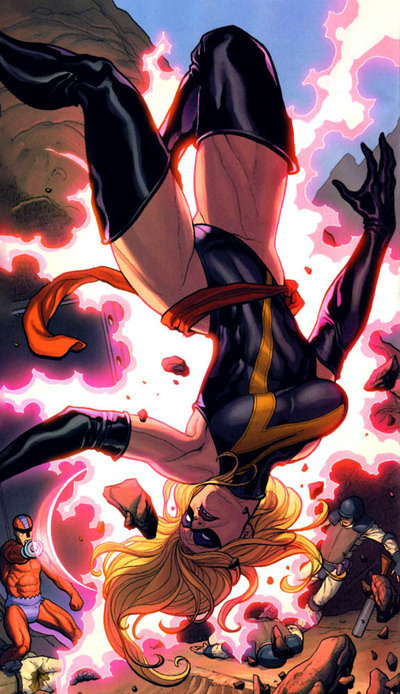 This is the reason why Rogue has super-strength and the ability to fly.